The University of Baltimore Online MBA – Powerful, Flexible and Designed by YOU. The University of Baltimore's Online MBA program offers the same content, rigor and collaboration between faculty and students as you would find in our face-to-face classes. The benefits of online education is that you can participate from anywhere with an Internet connection without needing to travel to campus. 36-48 credit fully-online program including a Capstone and a choice of five areas of specialization. Tuition is $840 per credit in-state. All online MBA students pay in-state tuition, no matter where they live. The benefits of an Online MBA at the University of Baltimore are based in our dedication to helping working professionals earn their degree while living their busy lives. Find out what this alumna has to say about being in the first graduating class of UB's Online MBA program. We've been focused on the professionals since our founding in 1925. 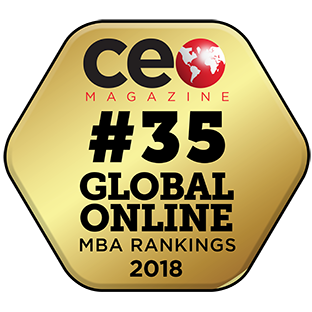 When we launched our Online MBA in 1999, we became the first AACSB International accredited school to pioneer a web-based MBA program that was available to students fully online — in other words, they never had to leave their homes to earn a high-quality MBA degree. And to this day, thousands of professionals have earned their degree entirely online at the University of Baltimore. 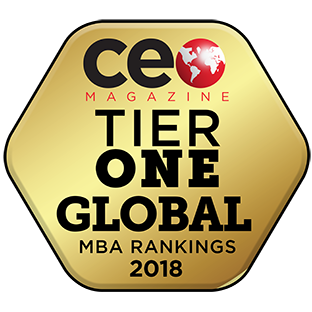 Our Online MBA (and all of our programs) are accredited by AACSB International. This hallmark of excellence, ensures that we are offering you a quality program that may help you today—but ultimately provide you with the knowledge and skills for tomorrow. Many of our faculty have been teaching online since January 1999. A few years ago, we had all of our "required core" courses reviewed and certified by a quality assurance organization. The program requirements are the same, no matter if you take all your courses online, or on campus. You can choose to specialize in four areas, Data Analytics, Financial Performance, Leadership and Marketing—or you can build your specialization to fit your career goals with the Custom option. We're flexible when it comes to starting the Online MBA program. You have six opportunities to enter the program–at the start of any session–as indicated above.